Unisex Leather Key Holder Wallet. 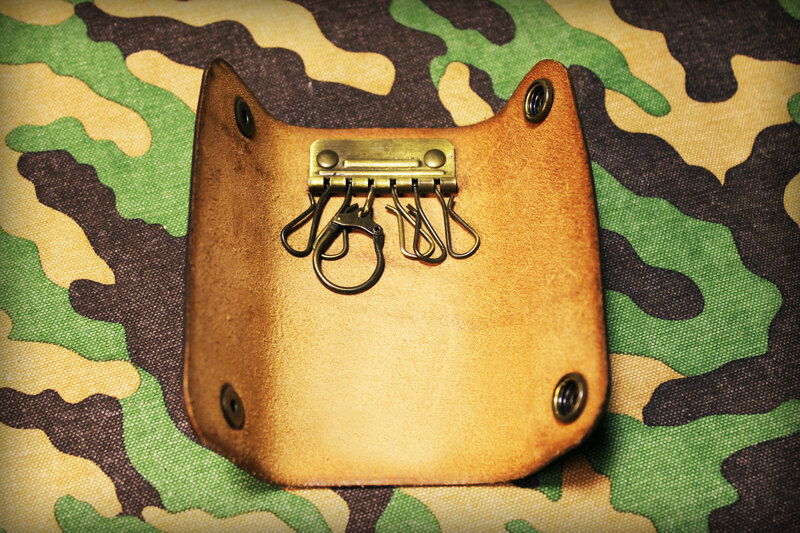 Wallet Keyring Holder with multiple hooks and snap buttons so that it can be closed to protect your keys, made of Italian genuine leather, dyed and aged by hand to achieve unique effects and value. 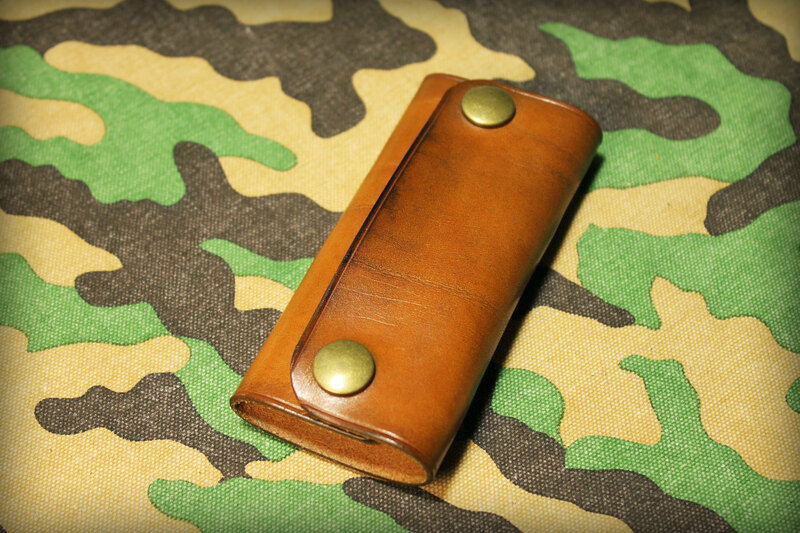 Choose Leather Color from the drop down menu. 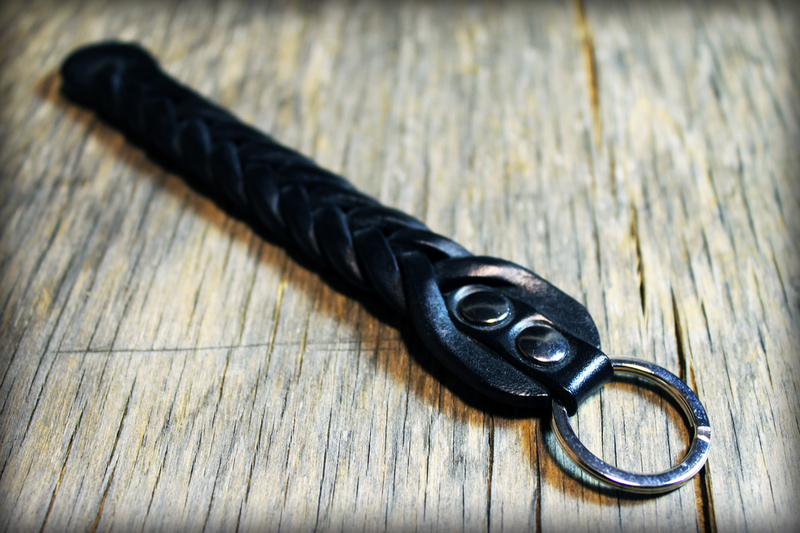 Width: 6 cm / 2,36" - Length: 12 cm / 4.72"
Leather Thickness: 2,5 mm / 0.1"
Magic Braid Key Ring with brass spring ring made of Full Grain Genuine Italian Leather. 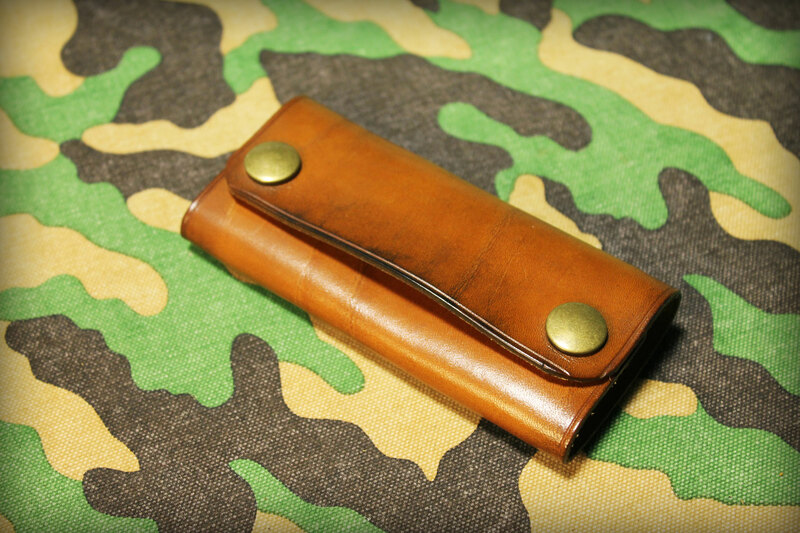 Width: 2 cm / 0.79" - Length: 18 cm / 7" - Leather Thickness: 4 mm / 0.15"
Key ring with hook, spring ring and snap button so it can be attached to a belt, made of full graun genuine Italian leather, dyed and decorated by hand to achieve unique effects and value. 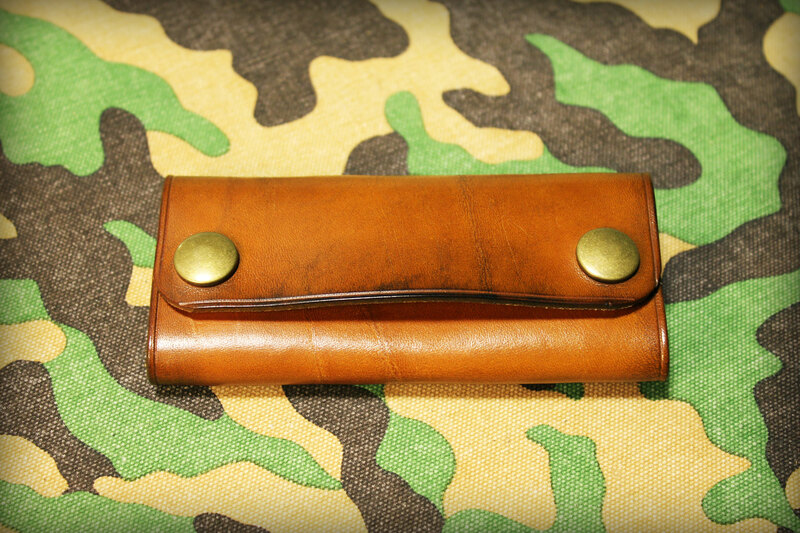 Width: 2 cm / 0.79" - Length: 13 cm / 5.12" - Leather Thickness: 4 mm / 0.15"
Key ring with hook, D ring and spring ring, made of Italian Genuine Full Grain Bull Leather, entirely worked by hand to achieve unique effects and value. 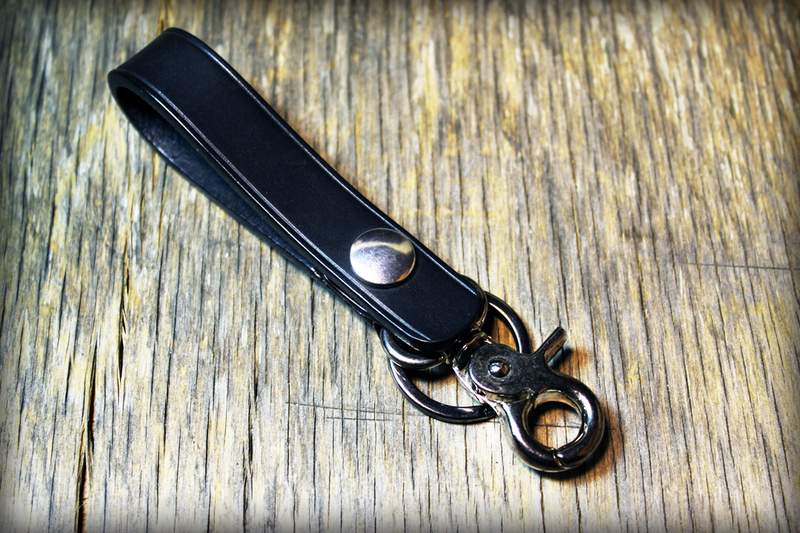 Width: 1,5 cm / 0.6" - Length: 9 cm / 3.5" - Leather Thickness: 3 mm / 0.1"
Men's Leather Keychain with press button, hook and ring. 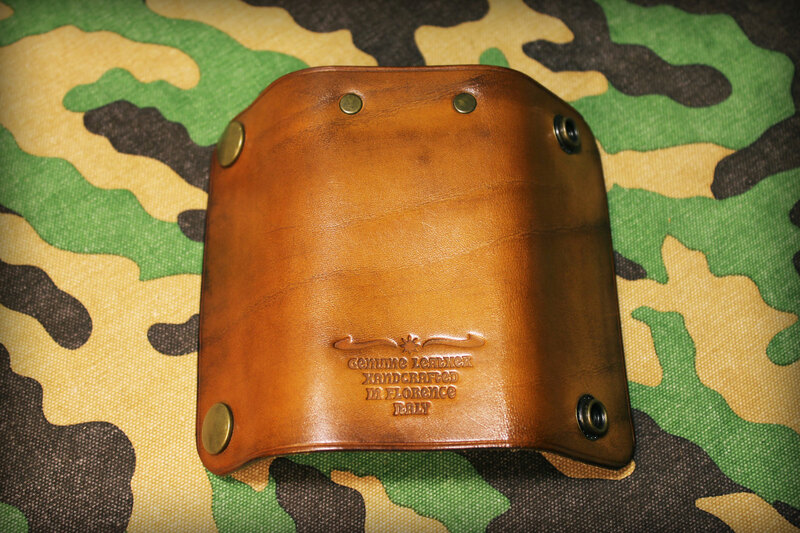 Decorated, dyed and finished to achieve ageing effects and warm color for a vintage look. 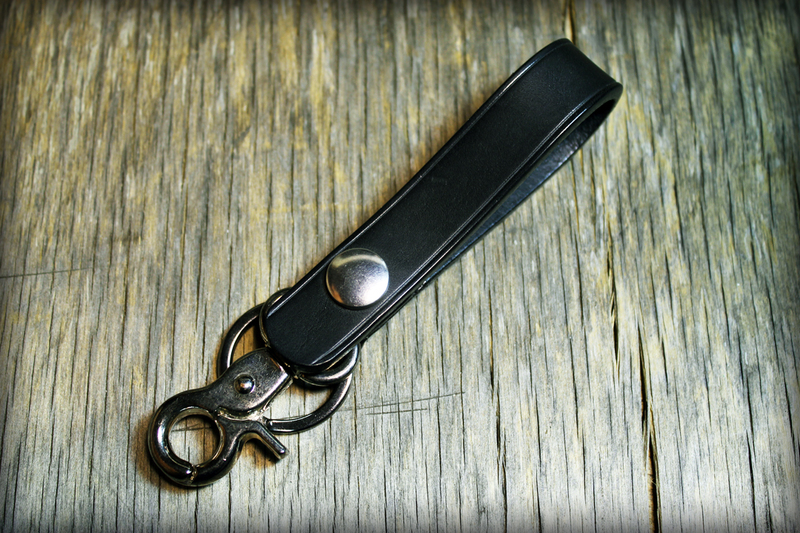 Men's Leather Keychain with press button, hook and ring. 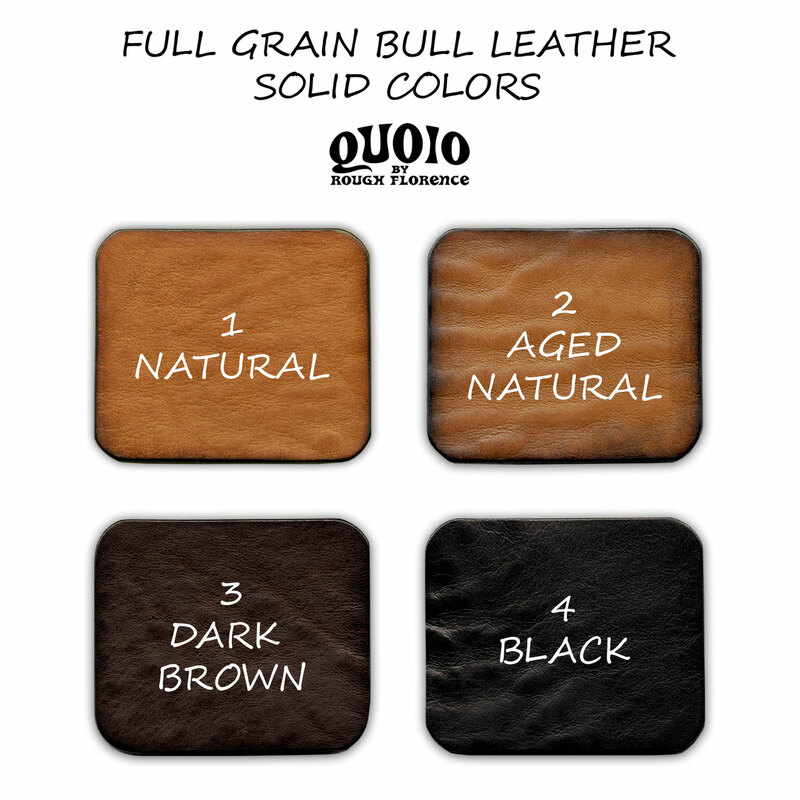 Totally hand worked and finished to achieve ageing effects and warm color for a lived-in look. 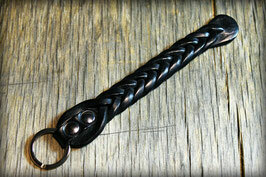 Men's Leather Keychain with hook and spring ring. 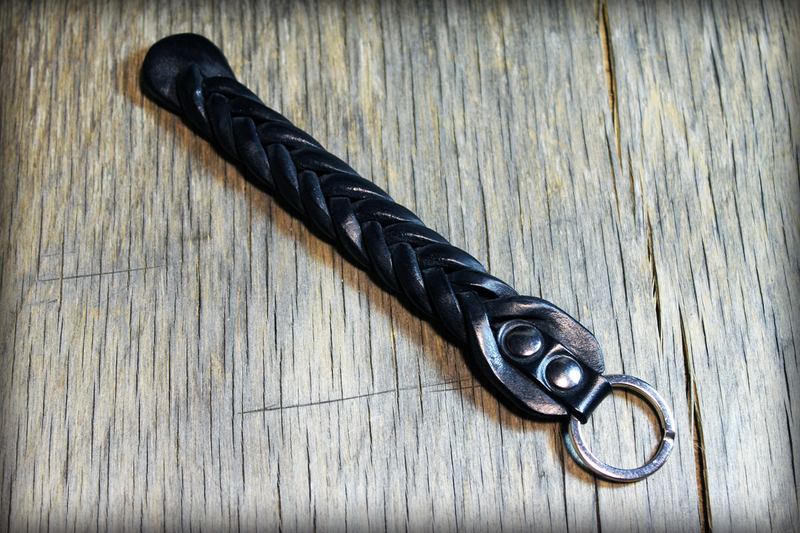 Hand Braided in an Exclusive way, Dyed and Finished to achieve a Unique Artisanal Product. 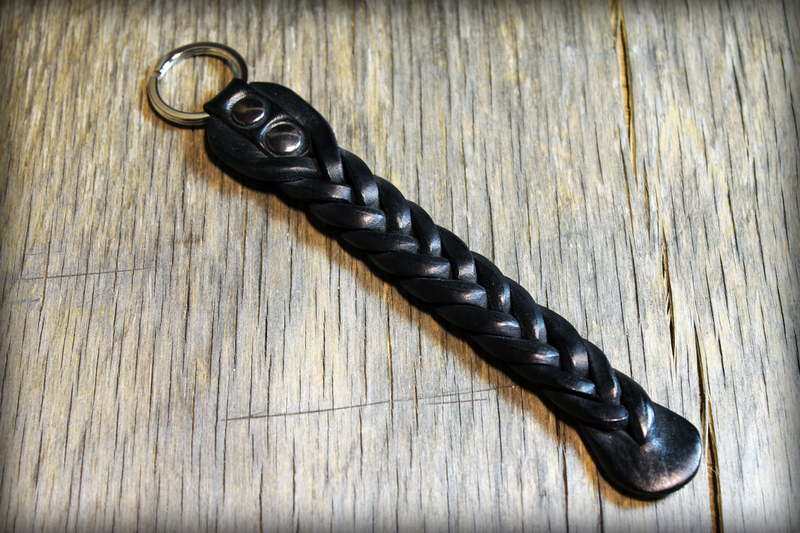 Men's Leather Keychain with snap button so it can be attached to a belt, made of fine leather, dyed and decorated by hand to achieve unique effects and value. 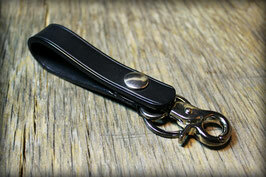 Men's Leather Keychain with press button, D ring and spring ring. 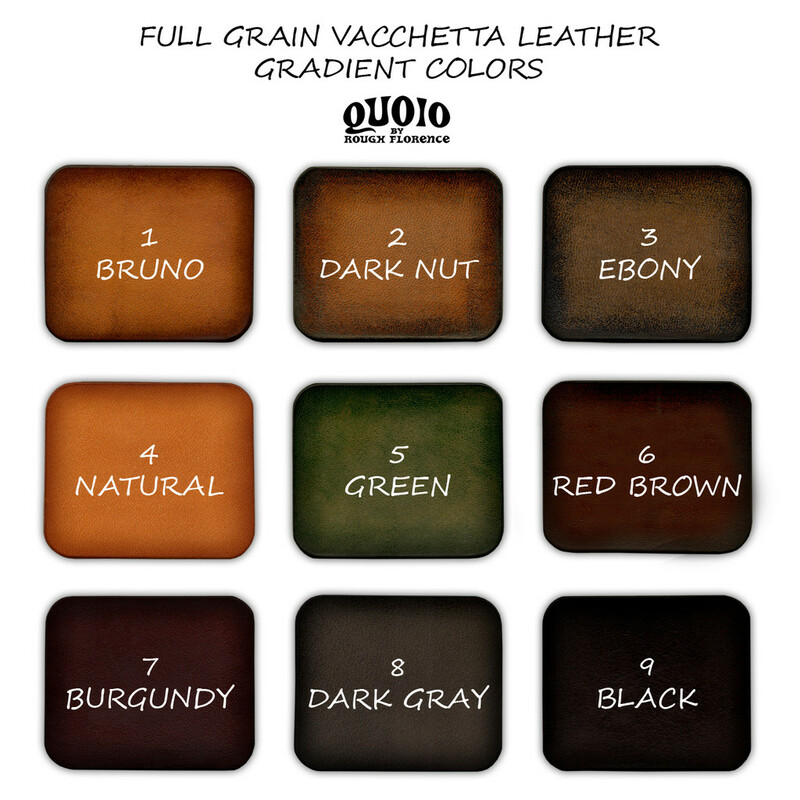 Carved, dyed and finished to achieve ageing effects and warm color for a lived-in look. 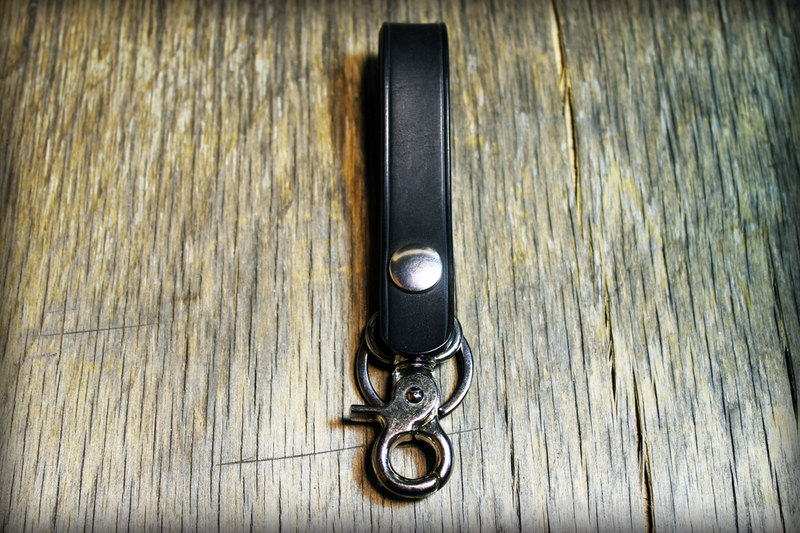 Unisex Keyring made of Fancy Printed Coated Tape and aged tanned leather. 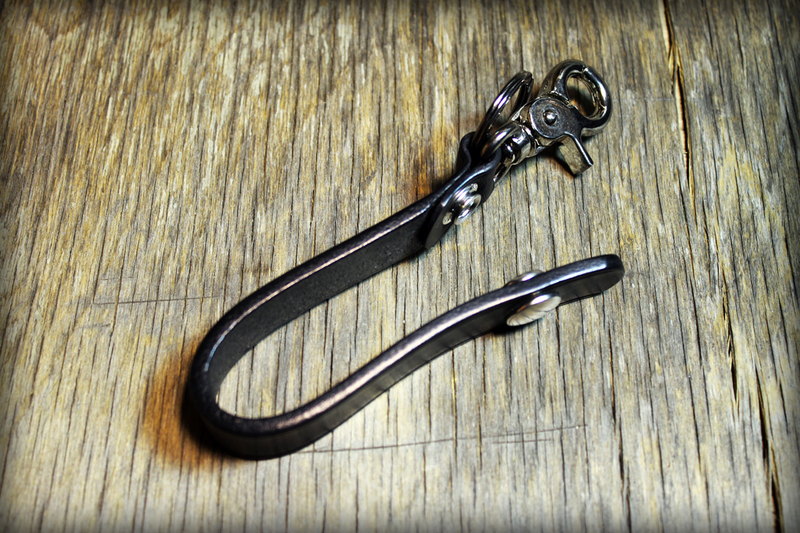 Metal Hardware features: Two different metal Finish Rivets, Shining Nickel "D" Ring and Spring Rings. 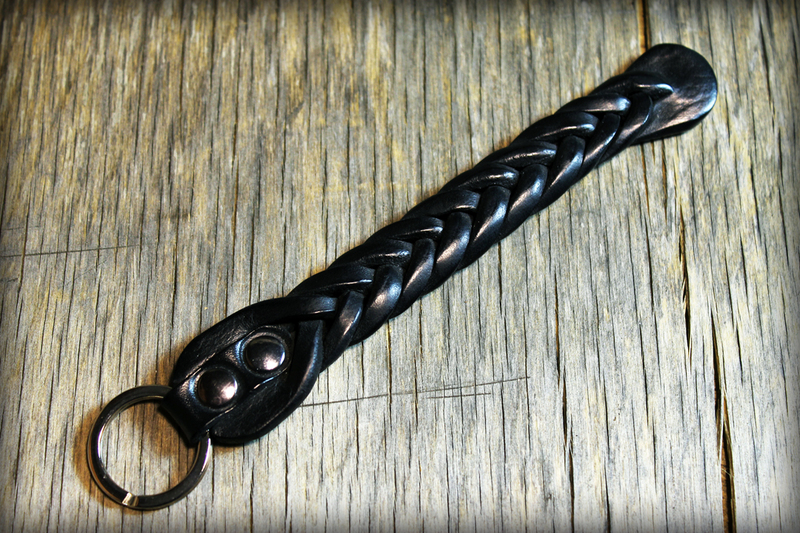 Men's Leather Keychain with hook and spring ring. 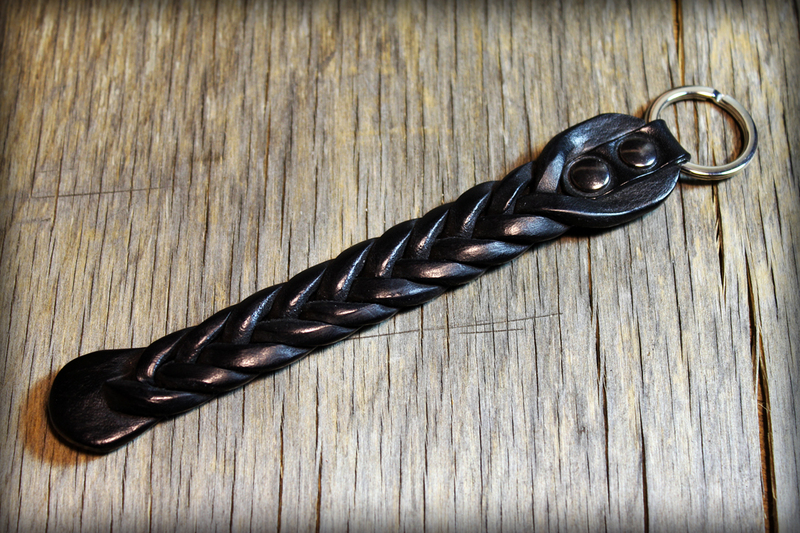 Hand braided, dyed and finished to achieve smooth effect and warm color for a bit sleek look. 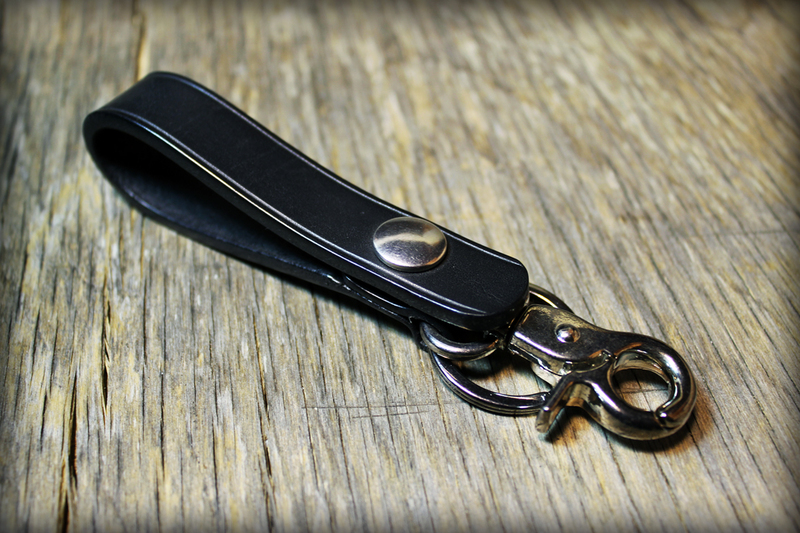 Men's Leather Keychain with 4 press buttons to adjust desired length, hook and ring. 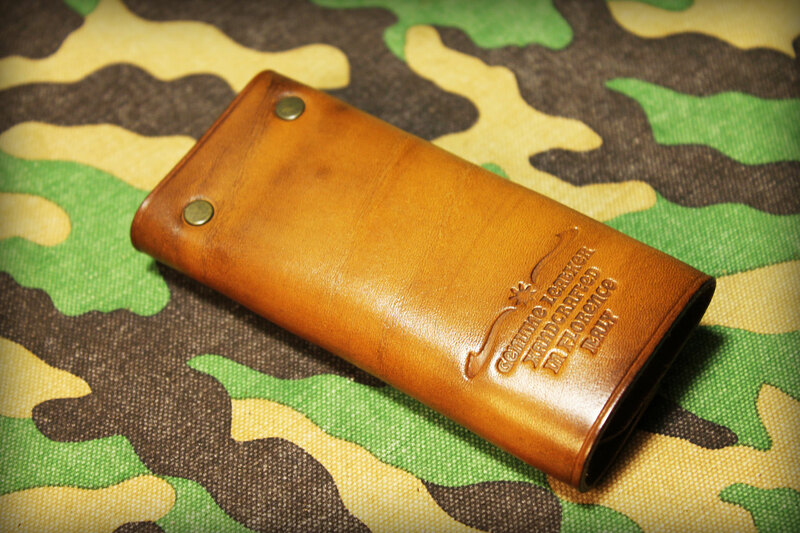 Hand dyed and finished to achieve smooth effect and warm color for a bit sleek look.